Following the Israeli national broadcaster’s – KAN – publication of the hosting criteria last week, many assumed that the host right would remain a 2-horse race between Jerusalem and Tel Aviv. However with Eilat’s official planning simulation being released, is the bidding city back in the race? The first drafts of Eilat’s hosting bid for the 2019 Eurovision Song Contest have been released, giving an interesting insight into the city’s future plans as a potential host city for the competition next year. It’s a different staging idea from the city, but is it viable as a host venue for the competition? For the first time, the first draft images of Eilat’s bid as Eurovision 2019 host city have been released to the country’s newspaper, the Israel Hayom. But what are their plans? To start, Eilat plans to connect 2 hangars in the city’s part to a hall, specifically meeting the requirements as determined by the European Broadcasting Union (EBU) and KAN. Initial sketches suggest that Eilat’s plan is to keep all necessary venues close by to each other; whilst the stage and arena would be central to the port, the green room would be placed to the left hand side of the venue, whilst the backstage, press and broadcasting centre would be to the right. In total, a capacity of 10,000 is planned for Eilat’s bid to host the big event, reaching the criteria as published by KAN last week. 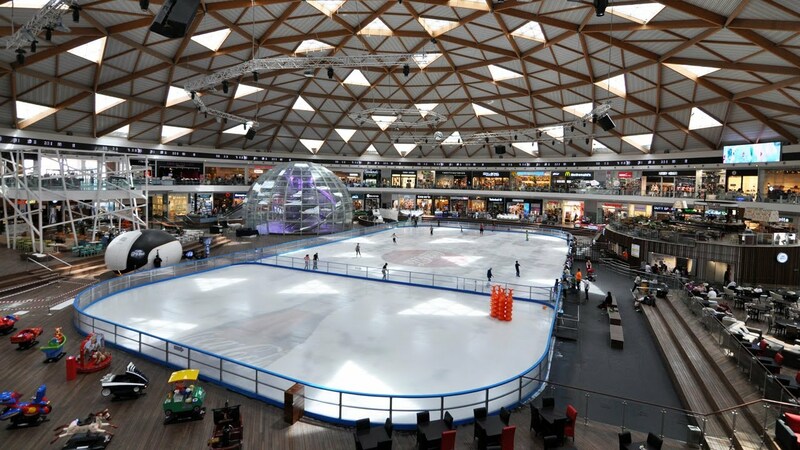 Another alternative is the conversation of the Ice Mall in the city, which will be able to host 7,500 guests, however that is slightly under the hosting criteria for a minimum of 8,000 seats. One idea planned by the city is the focus on a big tourist destination for the area, that being the popular Red Sea. Eilat has suggested a plan for the opening ceremony of the event, which would see a red carpet being rolled out from the sea to the venue, where the artists and delegations will arrive at the port via a ship. It is clear that these are preliminary sketches, but from looking at them you can understand that behind them is profound and professional thinking for all intents and purposes. It could have been a great option, because the Ice Mall is built like a full-fledged arena, but there’s a problem with its size, because 7,500 seats are not enough. Despite this, the Israel Hayom adds that Eilat has many of advantages which suit the asking criteria as a host city, such as the vast number of hotel rooms in the city, the traffic-free infrastructure and the closeness of the soon-to-be airport of the city, the Ramon International Airport, which is due to open in early 2019. Cities are currently still preparing their bids to host the event, with applications set to close tomorrow on the 17 July. A final decision expected to be made in September this year.